Re: Global Federation National News Network! "The Khan is not-next generation because of larger weaponry. That is not what the U.N.A. had in mind when developing the ship. The strength of the Khan is that the ship will be able to be equipped with the latest technology avaliable - even with some that are still in development. Stealth technology, nuclear engine, and a new type of gun. 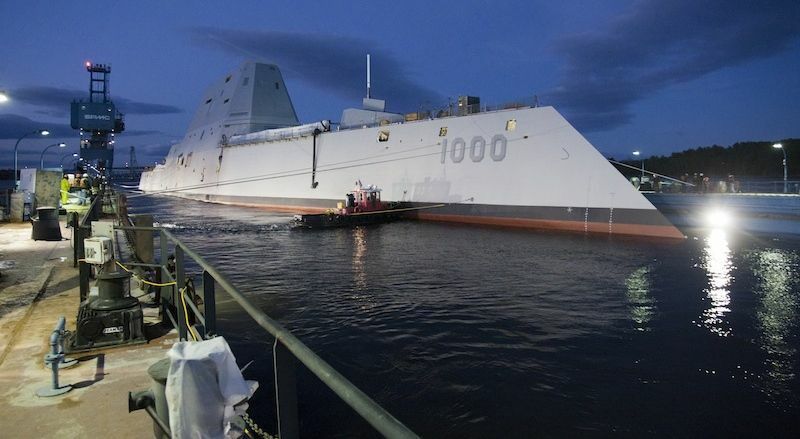 The Khan is going to be a test, a prototype for further research, and the United Kingdoms first step in modern-age advanced warfare on the seas. The world is in a military race, many nations are building up their military, and the United Kingdoms choose quality over quantity." The "new gun" is most likely to be a railgun (if the testings go well) - a cannon that instead of gunpowder, uses electromagnetic pulses to project a projectile at high speed. Currently the ship is planned to have conventional weaponry, yet most of the platforms are built to be able to replace the old cannons with railguns. The railgun would vastly increase the ships firing range and speed aswell, as the velocity of a projectile shot from a railgun is significantly greater. Khan is currently, however, not equipped with any guns at all, as the ship is in process of hull testing, to see what the new design is capable of in terms of speed, mobility, wave-resistance, stealth, etc. The South Aualesian Ocean, St. Nikolo. Recently scientists made a massive breakthrough of how to develop nuclear weapons for later use. However, St. Nikolo wishes not to "harm" the international community's "reputation" by developing this weapons. With so much leftover nuclear waste, Nikoloans have thought of a way to contain this waste, and use it in missiles. Duke Leon I wrote: Oh, trust me! The nuclear waste is not even near to the power of just pure nuclear energy. But of course, we have those, too...ahhhh, I remember the days that we nuked Brasilistan after they took our precious children down to a diamond mine. We tried diplomacy, that obviously failed, when it comes to Brasilitani folks. So, one of my generals proposed we use nuclear weapons to take 'em down. We had almost too much energy in St. Nikolo, so this was the perfect solution. And thats the story about nuc. weapons in St. Nikolo. As Duke Leon explained, nuclear waste is actually not as harmful as nuclear weapons itself, yet, it stills deals a decent amount of damage. Aie Moana Tropical Observatory, Saint Frederik, St. Nikolo. After years of research, St. Nikolo creates one of the first real "mega-satellites" in the Global Federation, naming the satellite "The Magna Major". The purpose of this starship is to study earths atmospheric appearance in space. There IS a room for visitors, however, they can only stay a certain period of time, due to, you know...SPACE. No visitors are allowed, except for nobility from different nations and of course, Saint Nikolo. A massive nuclear generator powers Magna Major, not to mention solar panels incase it goes by the sun on its route. Many are excited because this will be the first time Ebsotz/St. Nikolo will look to the skies. After ten months of being born, Evelyn and Daniel have decided to name their baby boy. The royal baby will be named Alex Arbona, the first of his name. We hope he lives a long and happy life. Evelyn Arbona wrote: Daniel is the one that came up with the name. I wanted to name our baby after his brother Alejandro but Daniel thought that it was too long, so he named him Alex instead. Loxan critics of the government were surprised and shocked at the released information of a surge in funding for the Loxan Department of War. Many are claiming it is a waste of money and are calling for the shift to be undone. While a conflict in Xolox's future is becoming very probable, it cannot begin to explain such an exorbitant of funds being redirected. The airspace around Mt. Zachary, Xolox's tallest mountain, has been restricted for fifty miles out, as well as multiple parts of the mountain being closed off to mountain climbers and the general public. Rumors say that the mountain has been and is being hollowed out to an extant, reasons are unknown. The Loxan government has made no comment on the rumors being spread, speculations, or the surge in the funds of the Loxan DoW. 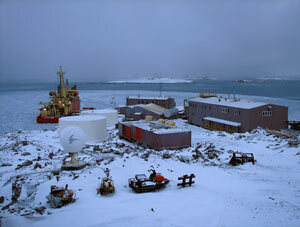 The Apepistani Arctic Expedition (A.A.E. 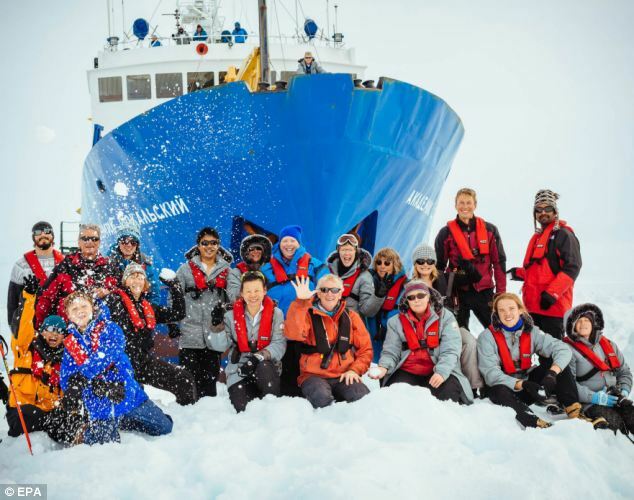 ), nicknamed "Project Icebreaker" has finally reached the Southern Arctic Zone. The research team has already begun to set up base on the northern coastline of the area - supplies from the United Kingdoms of Apepistan will arrive in this port aswell. After the surrounding region is explored, a specialised exploration team will travel further south to examine the local flora, fauna, and geography. The first reports are expected to arrive in the following days, depending on the weather conditions. The A.A.E. have picked a spot for the coastal base that is not disturbing local wildlife, and is suitable for future expansions, especially in case other nations join future research in the region. Depending on the A.A.E. 's research results, the Council of the United Kingdoms might be persuaded to enforce stricter environmental protection laws, as currently the United Kingdoms of Apepistan are one of the top heavy industry powers in the world, which means a high national pollution level aswell. However, past proposals have shown that the United Council of War vetoes every legislation that would limit the industry, as it may "hinder the development, and destabilize the Arms Manufacturing Industry." Viktor Grubask has been pronounced dead at the scene of a suicide bomb attack in the capital today. The bomber now an internet sensation in Imperial Artite has been dubbed the Savior of Artite for his heroic deed in killing the heretical separatist. Earlier today the Western Province has been reclaimed by anti-fascist forces but these forces are still against the Imperial Family. There was an emergency meeting at the former Imperial Palace regarding who would take over power of the National Socialist Empire of Artite. For right now the deputy Herr Von Klant has enacted emergency powers and declared martial law. Thirty two resistance fighters have been execution in retaliation of the killing of Viktor Grubask and the concentration camps have been ordered to put into effect Order 12, which is rumored to be the extermination of all inhabitants of all twenty five concentration camps, that would be a death toll of over five hundred million people. Imperial Artite has made no statement regarding the Savior of Artite but have increased the number of warships in the Northern Straits again and have prepared an expeditionary force of 250,000 troops to land in the south to help provide assistance to the Apepistani troops already on the ground. The first colony of the United Kingdoms of Apepistan has been established. This is a historical moment, as so far every new state or kingdom has been directly under the rulership of the Ahet-Apep, and have no separate kings on their own. However, the Colony of Sakalin is a semi-independent state, and while it is a protectorate of the United Kingdoms of Apepistan, they have no delegation in the Council of the United Kingdoms. The Colony of Sakalin only has a militia and no official army - national defense is solved via cooperation of the United Forces of Apepistan. Construction of a large naval base has already begun. The people have been stunned by the news that Reza Tarjan, possible heir to the throne of Apepistan, has been appointed Khanum (female word for Khan) of Sakalin by the Great Khan, Ahet-Apep LII. This might be a sign that Kerkesi Tarjan (Ahet-Apep LII) is preparing Reza for rulership by giving her a colony to govern first. However, as according to traditions, the Great Khans of Apepistan do not meddle with civilian matters - appointing Reza to a political position might also be a sign that Ahet-Apep LII has planned a political career for Reza. Currently, Khanum Reza Tarjan didn't give any statement on these speculations, as she is busy setting up the Colony of Sakalin. She said that she's aiming to preserve the natural and environmental beauty of the islands, develop tourism industry, and promote eco-friendly policies. In accordance to this, she picked a flag that has the symbol of the World Tree on it - an important part of tengri mythology. The new capital is being built, and it will be named Tarjankhan, to honor the Tarjan Dynasty of Apepistan from where both Reza Tarjan and Ahet-Apep LII are from. "Sakalin will be the Green Heart of the World, a beauty to behold." The Chacklean economy growing at high rates? The Chacklean economy has been growing fast lately and it is gaining more power. The king said that the country is investing in a lot right now, and as a result the GDP is at 79 trillion dollars. Some fear that the country is losing lots of money and gaining lots of debt but the nation is surprisingly normal. The nation has started to invest in oil, agriculture, furniture, tree cutting, arms production and infrastructure sectors. The candidates running for President in Kvecvo have waited for this time and it has reached. The current leader of Kvecvo said that he wishes for all the people running had a good chance at winning and hopes that they can make Kvecvo better. 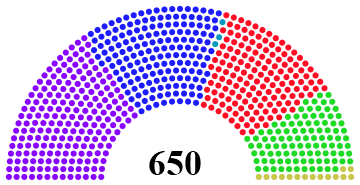 The parliament has a total of 338 seats, The candidate with the highest amount of seats wins the elections. The people who have ran for President are going to be in the list below. Laura Tempar is running for the Peoples Green Party and has seen a positive approval from the people. She did not see that best numbers but has great policies for the people and the country. She said that if she took office the country would be more eco friendly and would have a better economy. When she was questioned about the countries military she said that it would be a better military and better equipped and would have a better training. Boris Numana is running for the Conservative Party and is one of the best candidates to run. He is a rich man owning over 5 businesses and sais that he can make the country rich and more powerful around the globe. Although he is rich the people said that he would just make the country corrupt and less efficient. Which is odd as he owns over 8 Billion dollars worth of stocks. When he was asked about the military he said that he would make it better by investing into propaganda and trying to increase the total reserve list. Josh Crava is running for the Right Party of Kvecvo and was Kvecvos economic controller. He had a total approval of 87% when he was controlling the economy and was rated the best economic controller of Kvecvos government. He increased the countries total GDP to 3.5 trillion and lowerd the debt about 66%. When he was asked about the nations military he said that it would be much larger and that the country would focus investing into the navy as it is a island nation. He then said that it would be much more advanced and well equipped. He then followed by saying the troops would be much more well trained and would be paid better aswell. The new leader of Kvecvo has been chosen and will be replacing the current leader this week. Josh Crava said that he is proud that the people chose him and that he will make the nation much richer and nicer. Kvecvo has been booming since its independence and is seeing many buildings rise in its newly formed Capital. The city is already very populated holding 7.9 million people in it. The city has been helping people get jobs which allows the nation to then grow in its economy. The nations has found many resources and is using it to its advantages. The first ever election was held in the newly founded nation of Handenosaunee. The election was a 75 day long election campaign, the Party Leaders traveled all of the country to gather the votes of the people. The main three political parties who collected the attention of the Handenosauneeans were the United Democratic Party, a left-wing democratic socialist party. The Yellowknife People's Party, a indigenous party and the Green Party, a environmentalist party. There were many small political party's such as the Handenosaunee Communist Party, which is rumored to be supported by the Federation of Chackle. But in final, the United Democratic Party won a majority government who was lead by William Greyowl, taking 11 seats on the National Assembly. 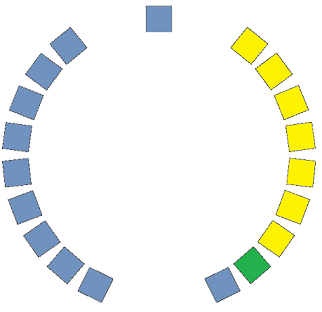 The Official Opposition was formed by the Yellowknife People's Party, earning 7 seats, led by David Inuvik, and in final the Green Party won a total of 1 seat led by Susan Hope. After the harsh victory of Chackle the nation has announced its first elections since 1987. The nation has announced that their is a limit of 6 parties, and a total budget cap of 500 million dollars. The nation has also announced that the presidential candidates cannot get endorsed by government/rebel leaders or they will be kicked. Once the elections commence the 3 parties with the most votes will be in the elections. Once they commence a party will win when it hits 190 seats out of 250 with a majority of the seats. One term is 6 years long with a total of 3 terms at max. With this all said. Here is the candidates of this years elections. Chris Lubrask is running for the Kesvonics Green Party saying that the country needs to reduce its pollution and to invest more into the environment and pledges to help out the countries endangered animals. He hopes to also reduce deforestation by 25% and putting a 15% tax on emissions released by factories. Yatave Hascratas is running for the Left-Wing party of Chackle and says that the country must be focusing on its people and investing into its education, industry, health care and route systems. She says that the country needs to get out of this state of poverty and needs a new edge. Paul Uskin is running for the communist party of Chackle and says that the nation needs to continue its communist path and that he will make the nation better then the other communist leaders made. Due to the party he is running for the chances of him winning are very slim. John Hurtes is running for the Right Party for Chackle seeing his rival in this election, Yatave Hascratas. He said that she will make the nation a mess just like a former left wing leader did. He promises that he will make the nation great and focus on the military and the countries young. Jefferson Gervas is running for the Blue Party, or the conservatives, saying that the nation needs to see some change and fast. He said that the nations education and health care systems are weak and that the nation needs to see some more industry power. He said that the nation needs to increase its power in the world. The last party has been suspended due to fraud and misleading facts. The candidate, Osper Bundaf has been eliminated from elections for life. The party will be suspended from elections from 3 terms. The country after winning against the communist government has announced that it has found a new flag, the flag will be hung in the capital today and will be hung around the nation. The rebel leaders held a vote on what flag to pick and the one that was chosen had a total of 95% of the vote. Yatave Hascratas gaining voters, green party looking weak. Yatave Hascratas, presidential Canadiadate for the Left-Wing party of Chackle is gaining the voters attention as she said this "Our peoples rights must be protected, they have been destroyed since the communist rule, I will fix them and allowing many laws, freedom of religion, freedom of speech, freedom of demonstration and women rights!" She made people look at her in a different way, and people say that she can make the country a very rich state, she runs a national business called "Oive Gardens" which is the 3rd largest agriculture company in Chackle making 4 trillion dollars a year. With the countries most popular radio stations started a poll with 1.6 billion people voting and she comes in with the most of the votes holding 55% of the votes, then its the Right-Wing Party which holds 25% and 10% goes to the Blue party and the 5% goes to the Green Party. 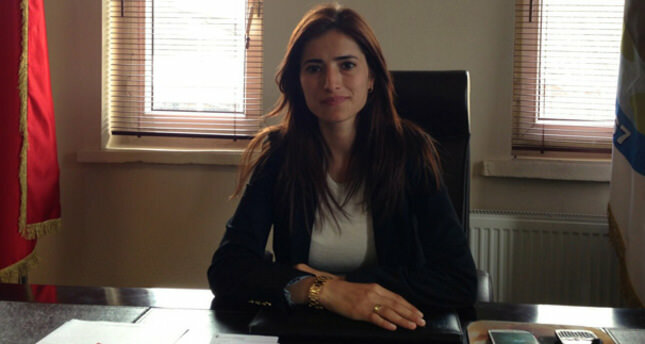 Yatave hopes that she can win the upcoming elections. With major powers such as Apepistan supporting the Green Party with fund it has seen a huge boost, climbing from 5% to 16%. This is the biggest leap any of the parties have seen. Chris Lubrask, the leader of the Green Party tested to make his power even more bigger by stating "Our nation has been enemies with Apepistan for centuries and we, The Green Party would like to change that. They helped us through the struggle of beating the former communist nation". Lubrask also stated that the country will invest into its enviroment and make the country the cleanest in the world. With this he said that taxes would be decreased and that Human Rights would be also increased alot. He also announced that he would like to make college and health care free. The countries Green Party supporters said that they would like to see the Green Party take seat and change the nation into a better place to live. The elections are close by and the candidates start trying to get their last minute votes. The Kesconic Green Party has seen more growth as it grows from 16% to 23% making it even stronger. They announced that they will cut down deforestation and focus on growing the falling rain forest in Chackle. Chris also said that he will allow many laws that save the environment and help improve the countries civil rights and freedoms. The Right-Wing Party seen a 4% drop making them 3rd place after the Green Party after John Hurtes said that the country needs to focus on its military and its power in the world saying that he would increase the defence budget by 15% and cutting the budget on Health Care and Education by 30%. The most powerful party which is the Left-Wing Party still holds big gaining 1 more % in the polls making them have 56% of the countries vote. The Candidate of the Left-Wing Party said that she would make the country rich and wants to increase Oil and Fossil fuel production and also create more jobs by spending trillions of the Chacklean economy on upgrading industry. She proposed that the country should make the Kesvonic Oil Line which travels across the world allowing the nation to become more of rich country and that it would profit the world. Scientist Hunter Greef said that it would be catastrophic to the environment of the world and would increase pollution by at least 5%. This could turn off a lot of voters as the planets health continues to drop. Elections are in 4 months lots more is to come as Candidates try to pull the voters towards them. The National Assembly and Council of Indigenous Leaders have voted to enact the proposed flag by The United Democratic Party to be the new National Flag of The Democratic Republic of Handenosaunee. The former flag of Handenosaunee faced criticism by the United Democratic Party and The Green Party mainly by reason of the flag did not properly represent the people, country and culture of Handenosaunee. The former flag was chosen by the indigenous tribes as a symbol of rebellion against the first settlers of the country. The Prime Minister, William Greyowl and the Minister of Handenosauneean Heritage, Leona Amiskwi stated during a session of The National Assembly that the former flag must be put in the past for the reason that it does not currently represent the newly founded beliefs, culture and people of the country. Minister Amiskwi also said the following, "The people of this free and democratic nation must all be under a flag that properly represents the diversity and culture of the people and not the rebellion of the past." In final, the new and prosperous is flag was apdopted on the 9th of March 2016. In the hoist, it depicts the North-West Cross, a constellation which can be seen in Handenosaunee; in the fly, a sun silhouetted which symbolizes hope of prosperity. The Green represents the lush forest found in Handenosaunee, the Dark Blue represents the ocean that surrounds the island of Handenosaunne and the White Stars and Sun symbolize the pacifist culture of the nation. The Chacklean Green Party has seen more growth as it reaches 30% in the polls. The candidate of the Party said that he appreciates that people are voting for the party. He announced that he wants to invest into cleaning the countries largest lake, Lake Juena, it has a estimate of 1.8 billion barrels of waste in it from shoreline companies. Chris Lubrask also said that he wants to invest more into homeless shelters as well. This has helped the Green Party a lot as they continue to grow. The Green Party had won it! They pulled through and grabbed the last minute votes and caught up with the Blue Party. The results were that of 31.4% for the Green Party and 31.2% for the Blue party. The candidate for the Green Party, Chris Lubrask celebrated with the victory by saying the following. "I thank the people who elected me to be president, and I promise that you will not regret it. I will make this nation richer and a better place to live in. The first thing I will do once I take office is focus on the environment and the people. I think that this country has a very large potential and I will make it a super power. Thank you." The candidate for the Blue Party said this after her lose. "Well you know, I thought I was going to win, but I applaud Chris on his win and I hope he can do the things he promised to do. It was sad to see that I lost by a little bit. But all and all it was fun trying and I may try in the future." People hope the Chris can accomplish his goals as being the new President of the nation. After the first democratic national election in the Democratic Republic of Chackle since 1987, the results were finally, concluded and counted on March 14th. 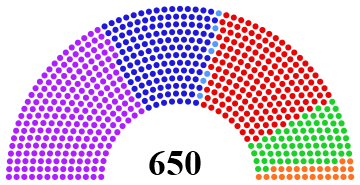 The results were a Green Party victory earning 31.4% of the vote. In close second the Blue Party earned 31.2%. In third, the Left-Party earned 18.4%. In forth The Right-Wing Party earned 16% and finally in the fifth, the Communist Party of Chackle earned 3% of the vote. So in final, the percentage of each party was counted and finalized for that each party earned their percentage of votes which will be turned into the amount of seats in the People's National Assembly. This month has been a good month for the nation as it has seen a new leader, and that new leader is bringing the nation alot of progress. Chris Lubrask passed many bills through the congress and one of the most notable ones was to increase green energy instead of polluting energy. With this the country has also seen a 6.7% growth spurt in its economy which has made Chackle richer then ever before. Chris also said that the country still needs a good enough military to protect its self from groups or other nations in the future. He had increased the military budget by .5% and the education budget has been increased by 6%. With all this, the nation had seen one issue this month, its population decreased by 600K people due to death. This made the nation feared as it wants to keep enlarging its population. Chris responded to this saying "Our nation's health is one the best in the world. But for some odd reason 600 thousand people died in one month which declined our population growth. With this, I want to make sure it does not get worse so I will be issuing a bill to increase healthcare and to make it completely free for all of our people." Many people where happy to see that he wants to actually keep the nation healthy, Chris' approval rating broke records as it hit 93.4%. More to the news next Thursday. Today the Mayor of Caldonia, Karl Young, was found dead this afternoon in the restroom of a local diner in the City of Caledonia. His body was found in the stall upside down in the toilet with a slash mark on his neck. The restaurant is currently under investigation with no real evidence yet to be found. On the side of the stall the words "Lucifer's Blood" written in (surprisingly) the blood of Mayor Young. Police say that the mysterious Hassanyian hate group, which media now calls Lucifer's Blood, which has been know for beating Chackles and burning down houses was behind the attack, for the mayor has been know to favor traditional Chacklean foods and has been dating a woman from Chackle. This makes him a potiental target for the violence group. Other suspects could range from an angry ex soldier from Chackle who have been seen at the diner and the Hassanyian diner's cook who has been known for disagreeing with the mayor on multiple policies. Chacklean Government announces free schooling and healthcare, with a small increase in taxes. The Chacklean government has announced that it will make health care and education free. The president said that he wants the country to top the list for HDI and Education. The president's approval rating has reached the countries all time high hitting the 94% mark. He is now also known for increasing the Chacklean GDP faster then any other president in Chackle's history. The free education and healthcare act will result in a 3% tax increase to flatten out the deficit. The countries treasury has seen a nice boost as the country see's its first income since 1923. Chris Lubrask has been doing the country well. The Chacklean government has seen a huge interest in space. Its interest has made the government invest 5% of their GDP into a space agency and looking into space. The government had one main objective before looking into other solar systems. It wanted to explore its solar system first. Chackle has later announced that it plans to send the first crew to the moon, plans for this seem fictional but the country has really looked into it. The had announced that they would be sending satellites into space to explore the solar system and then in the future, for other solar systems. Chackle has announced that in 3 years time there will be a man on the moon.